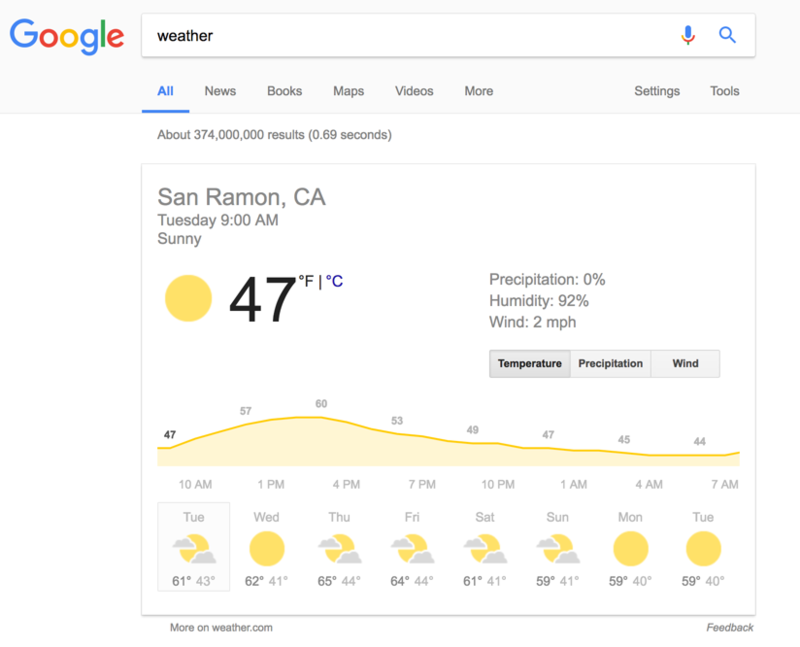 See in the screenshot below the weather integration: Clicking on the weather here will open up a new search for the weather, with of course a giant weather forecast integration at the top of the page. The local is based on my IP address, so it’s super relevant. 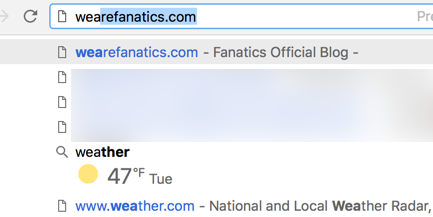 Have you seen this shortcut in the browser history navigation before? Which other integrations have you spotted which generate another Google search?